They had met during their younger days, he and the widow of Theodore paa Bua. The original fusion of their passion had taken place during a golden opportunity out in the berry field -- she had given him a certain look upon leaving the house and he had gone a round-about way and met her. 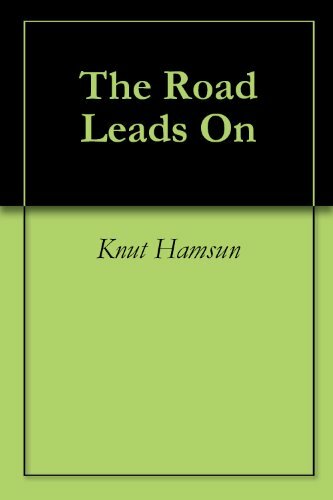 This is the story about the wanderer Knut Pedersen (actually Hamsun's real name), wandering around the Norwegian countryside doing such work as he can find, while having his eyes wide open to study nature and his fellow human beings. A true classic of modern literature, described as one of the most disturbing novels in existence. A story of an artist who wanders the streets, struggling on the edge of starvation. As hunger overtakes him, he slides into paranoia and despair. The wanderer, Knut Pedersen, has fled the city, seeking peace and nurturing from nature. We see him wintering alone in a cabin near the mountains, once more seeking peace through solitude in nature and reflecting on what he has learned of life. When Hamsun won the Nobel Prize in Literature, in 1920, it was mostly because of this 1917 novel, an epic vision of peasant life in Norway's backcountry. The saga of Isak and Inger and their hard times is by turns affecting and ponderous.